The Bradbury Chronicles | Arts and Culture | Style Weekly - Richmond, VA local news, arts, and events. Reflections on the life and work of the late Ray Bradbury. 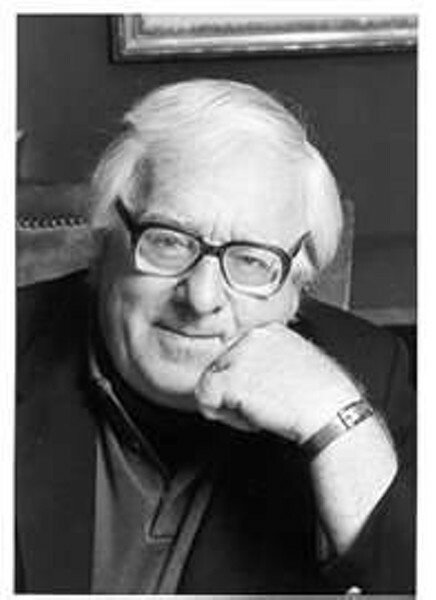 Author Ray Bradbury passed away on Wednesday at the age of 91. A great writer, perhaps the Shakespeare of fantasy and science fiction, has shuffled off his mortal coil. Ray Bradbury died peacefully on Wednesday at 91 in Los Angeles. How fitting and poetic that this literary giant should pass away during an astronomical event such as the transit of Venus. Such a scenario would not be out of place in one of his hundreds of wonderfully poetic stories and novels. One of his short stories, “I Sing the Body Electric”, the title a fitting nod to Walt Whitman, one of his literary heroes, was one of many Bradbury stories done on TV or in film. Like many sci-fi stories of its time, it told of a future that included robots, but no one could write of such things in quite the emotional, warm-hearted style as Ray Bradbury. His books remain an enchanting joy. That book proved to be my introduction to his writing, ca. 1966. I was with my father at a Richmond drug store, which had a few paperbacks on its magazine shelf. I was fascinated by the title and the cover picture of a burning man who was made of paper. When I turned a few pages in and found that the title referred to “the temperature at which book paper catches fire, and burns,” I was a goner. Thus began my voracious swath through every book I could find by Bradbury. I had already been a steady reader, but his books took me on new paths of belletristic pleasures, in much the same way that Captain Beefheart and the Magic Band’s “Trout Mask Replica,” a few years hence, would make me listen to music with an entirely different head. I devoured the stories in “A Medicine for Melancholy” and “The Illustrated Man” with wide-eyed wonderment, these books being great successors, for me, to the exploits of Sherlock Holmes. Many times have I flashed on the final scenes in “Fahrenheit 451,” among the most poignant and emotional in Truffaut’s 1966 film rendering of the book, in which the outlaws become books, to save them for the future. It’s a cautionary tale for any time, but especially so now in these modern times, when some in our society seem bent on taking books and ideas out of our hands. One of the abiding pleasures of reading Ray Bradbury’s work is the obvious joy he takes in writing, the play and dance of the language evident everywhere. A reader wants to be taken on an adventure, and who better to conduct the trip but one who, by his own admission, really never grew up. He said the impetus for what he’d done with his life was “a result of what I was when I was 12 or 13”. His wide-eyed, eager, boyish exuberance, and willingness to take on everything that life has to offer, including death, are like no other writer in my reading experience. Perhaps this last is best exemplified in his poem, “To an Early Morning Darning-Needle Dragonfly.” Bradbury invites a dragonfly to sew his eyes shut, against the “madness of men”, and his ears, against “the constant wars,” and also his lips, so he can’t “bore my friends”. He then realizes that what will be shut out, along with the horrible and the base, also will be the beautiful, the good and the true. To live life to the fullest, the message goes, one must experience and endure all of it.